As a competence centre for Danube Swabian studies, the Institute’s archive (AIdGL) fulfils a documentation task anchored in its founding articles. It is responsible for safeguarding and preserving the archival records of the regional Danube Swabian groups as part of Germany’s cultural heritage and culture of remembrance and for making them accessible to academia and the general public. 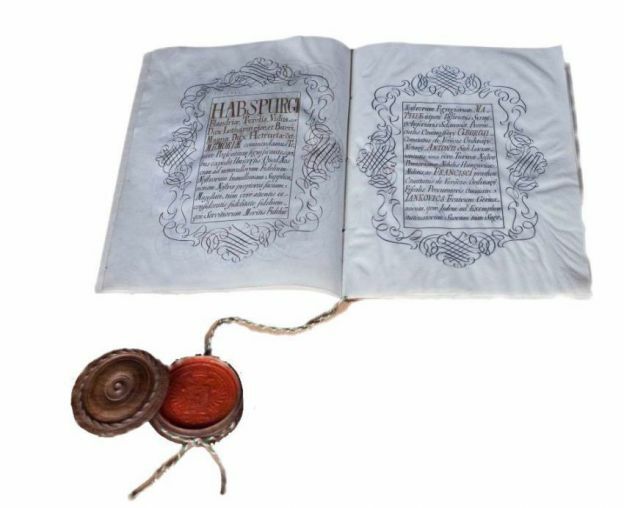 The range of items in its custody spans from deeds and files to visual and electronic media, starting from the end of the 17th century up until the present day. Not only is the historical development of the Danube Swabians mirrored in the archive’s collections but also that of Southwestern Germany. Many of the documents originate from associations, societies and private individuals and are therefore an indispensable reservoir of knowledge and experience of German expellees from South East Europe. The over 70 bequests make up the largest part of the collection. The stock which is listed and accessible for research comprises about 170 running metres. There are a further 300 running metres of roughly sorted stock. Already processed stock is retrievable via the Kalliope union catalogue, inventories in PDF format as well as conventional inventories (directories, card indexes). Since 2011, the archive has been accommodated in stacks located at Nauklerstrasse 35. Inspection of archive material takes place in the Institute’s building. Dr. Karl-Peter Krauss Josef Wolf, M. A.
Das Archiv des Instituts für donauschwäbische Geschichte und Landeskunde. Entstehung - Bestände – Nutzung. In: Der Archivar. Mitteilungsblatt für deutsches Archivwesen 51 (1998), Sp. 679-683.